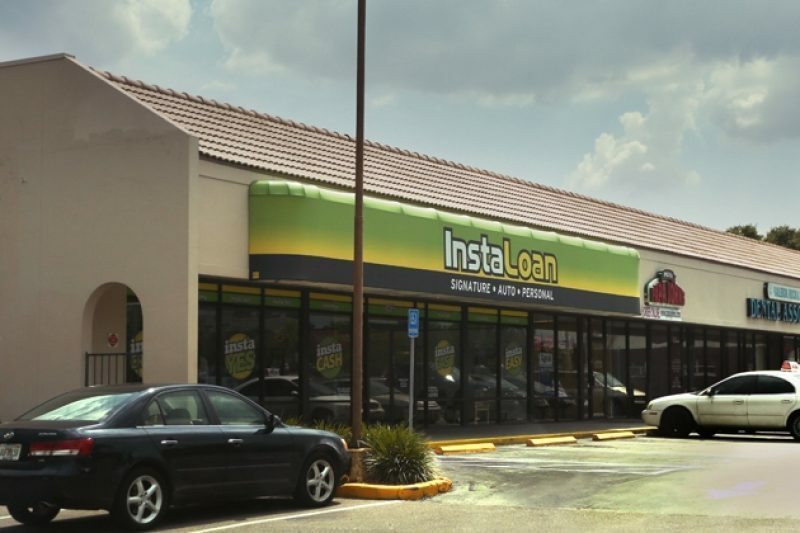 Despite a ban on high-interest car title loans, the nation’s largest title lender has opened 26 Instaloan stores in Florida, offering a refashioned version of the loans that effectively charge the same sky-high rates the law was designed to stop. When Florida lawmakers banned high-interest car title loans in 2000, then-Gov. Jeb Bush proclaimed that the new law would protect Floridians from lenders "who prey on the desperate." But in the past three years, the largest title lender in the country has swept into the state, offering a new version of the loans that effectively allow it to charge the sort of sky-high rates the law was supposed to stop. Number of locations: The largest auto-title lender in the country, TMX operates more than 1,470 stores in 18 states. In neighboring Georgia, TMX has 373 stores; in Alabama, there are 127, according to company websites. Number of locations in Florida: 26, including St. Petersburg, Tampa and Brandon. Type of Loans: Typically, 30-day loans with a triple-digit interest rate. 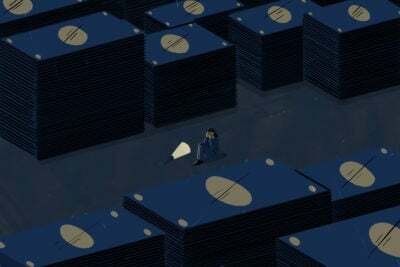 But products vary state to state, mostly to evade any restrictive laws. Almost all loans are secured by the borrower's car. TMX Finance, which has opened 26 InstaLoan stores across Florida, skirts the ban on triple-digit interest rates by offering loans larded with costly and nearly useless insurance products. 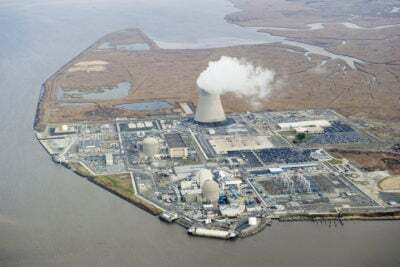 TMX is clearly violating "the spirit of the law," said Alice Vickers of the Florida Consumer Action Network, a Tampa-based nonprofit advocacy group. Florida regulators should be cracking down, she said, instead of "giving them a pass." TMX's refashioned loans are yet another example of how the nation's high-cost lenders have modified their offerings to circumvent city, state and federal laws designed to limit them. 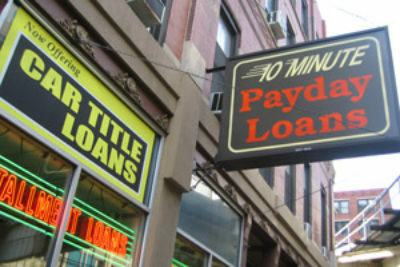 After Ohio prohibited excessive interest rates on short-term loans in 2008, payday and auto title lenders used a loophole to offer nearly identical loans under different state laws. In Texas, TMX subsidiary TitleMax has offered customers cash for free as part of a ploy to get around city ordinances. From its Georgia base, the company now operates more than 1,470 stores in 18 states with plans to grow by more than 20 percent each year through 2017, according to a presentation made to a rating agency last year and obtained by ProPublica. TMX officials did not respond to multiple requests for comment. Industry representatives often argue that high-cost lenders serve a vital function by providing credit to consumers who would not otherwise be able to obtain it. In a basic 30-day title loan, consumers hand over the title to their cars for a loan ranging from $100 to several thousand dollars. At the due date, the borrower can pay just the interest and renew the loan for the principal. In Georgia, TMX's TitleMax stores often charge about 150 percent annual interest, according to contracts reviewed by ProPublica. If the borrower defaults on the loan, the lender can auction off the car. Lenders like TMX derive most of their profit from customers who can't afford to pay off their loans and who renew them again and again. In 2009, a company executive testified in a court case that the company's typical loan is renewed eight times. Florida's 2000 law prohibits annual interest rates above 30 percent. Three years ago, auto title lenders pushed a less restrictive bill, but a House committee rejected the measure. So in its Florida stores, TMX changed the format of its loans, charging borrowers the maximum interest rate, and then typically adding fees for two types of insurance. Both policies protect the company, not the borrower. The most costly policy reimburses InstaLoan in case the car is damaged. Borrowers who can't repay their loans must pay fees for a new round of insurance each month to keep their cars. A ProPublica review of 28 loan contracts made to Floridians in the past two years shows that insurance costs effectively made the loans as expensive as the TitleMax loans in Georgia. A typical Florida contract listing an annual percentage rate of 30 percent actually carried an effective annual rate of 144 percent. An examination of consumer complaints to state regulators about TMX and its InstaLoan stores shows that the customers are often teetering on the edge. One Floridian appears to have renewed her loan 17 times in 1 1/2 years. Another woman borrowed $3,100 and made $2,600 in payments, but after rolling her loan over seven times she still owed $3,900. Rather than keep paying, she surrendered her car to InstaLoan. A third customer had $886 in monthly income, according to her loan application. Just to renew her $3,000 loan would have required more than a third of her income. Rather than pay it, she, too, surrendered her car. "I am 59 years old and disabled, and on a fixed income. I am unable to make such payments and they are threatening to repo my vehicle next week," wrote a Pensacola woman. Another complaint, from a 78-year-old Tallahassee woman, read: "I was pressured to buy insurance I did not need. I did not understand what I signed, evidently." "TMX Finance appears to be violating the law and taking advantage of families struggling to survive in these hard times," said Dorene Barker, an attorney with Florida Legal Services, which led a coalition of consumer groups that pushed for the 2000 law. ProPublica obtained the complaints through a public records request with Florida's Office of Financial Regulation. The identity of the complainants was redacted. In each case, TMX denied any wrongdoing and said it was operating within Florida law. Regulators do not appear to have initiated any action as a result of the complaints. Consumer watchdogs said lenders are using the insurance as an end run around the law. "The sale and financing of the credit insurance as part of these auto title loans is deceptive and abusive," said Birny Birnbaum, the executive director of the nonprofit Center for Economic Justice and a former associate commissioner at the Texas Department of Insurance. In states where high-interest loans are not banned, TMX's other subsidiaries do not require borrowers to buy insurance. Though InstaLoan labels the fees as "voluntary," the company requires the protection, either through InstaLoan or the borrower's own insurance plan. 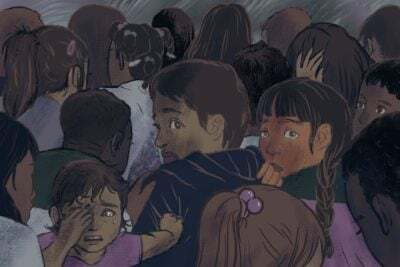 In the complaints reviewed by ProPublica, five borrowers said they sought to avoid using the expensive policies offered through InstaLoan, but none was successful. The insurance sold through InstaLoan is provided by Lyndon Southern Insurance Co., a subsidiary of the publicly traded Fortegra Financial Corp. In mainstream forms of insurance, the bulk of premiums typically go to claims. But that's not how Lyndon Southern's auto insurance works. In Florida, the company sends more than half of borrowers' premiums right back to lenders like InstaLoan in the form of commissions and other fees, according to 2013 data collected by the National Association of Insurance Commissioners. Fortegra did not respond to questions about its policies. State regulators, meanwhile, have done little to slow TMX's advance in Florida. To open a store in the state, TMX must seek approval from the Office of Financial Regulation. Early in the company's expansion, regulators inspected a TMX store at the company's invitation, finding a number of minor violations. They levied a $4,000 fine and ordered the company to fix the problems. The most significant change? TMX was forbidden from advertising itself as a "title loan lender," since the company — despite issuing short-term loans against car titles — is not registered under the law governing title lenders. Instead, TMX is registered under a statute meant for consumer finance companies that offer longer-term installment loans. The title lender law bans the inclusion of insurance with loans. The consumer finance law doesn't. Regulators appear to understand the nature of InstaLoan's business. When a consumer filed a complaint late last year, one state analyst wrote in an internal log, "It appears that this loan is essentially a title loan," according to the documents obtained by ProPublica. In response to questions, Office of Financial Regulation spokeswoman Jamie Mongiovi declined to discuss TMX's loans in any detail. "TMX, through its consumer finance license, is authorized to originate consumer finance loans," she wrote in an emailed statement. For more on how the high-cost lending industry targets lower income consumers, please see our series Debt, Inc., including our previous story on TMX Finance’s in Texas and our story about how payday lenders bounce back when states crack down.